Ridge-Guard® is a system for guarding against animal entry at the roof ridge. With the advent of ridge-vents to protect shingles from over heating in the summer, and excess moisture build up in the attic in the winter due to heat loss, came the extra issues associated with a large vent opening across the entire ridge of the home. 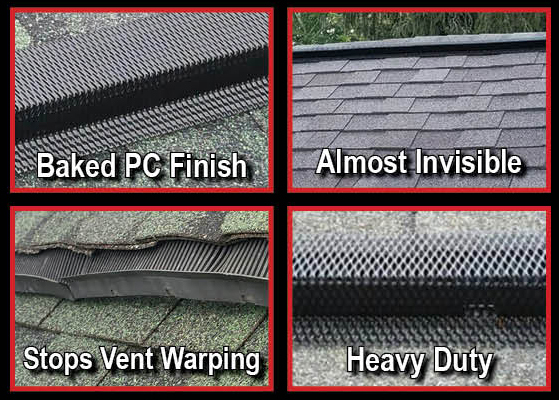 Standard plastic ridge-venting, as well as most other types of roof ridge vents, can be made secure from pests by the application of Ridge-Guard®. Installation of Ridge-Guard® eliminates the need in most cases of removing old ridge vents. It stops pest without the need for tear-offs of ridge vent or ridge caps. Ridge-Guard is a heavy-duty American-Made product with a lifetime guarantee. 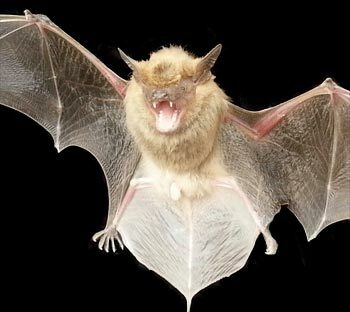 Ridge-Guard® roof ridge pest control solution for all ridge-vented roofs. For most roofs about 50% saving, and a product to last as long as your roof. Highly effective and barely visible from the ground. All sales are final. Products are backed by our warranty.